Any AR-15 and AR-10 barrel that has a .750" diameter at the gas port area. When you want real control over the gas system in your AR it’s time to look at adjustable gas blocks. The SLR Rifleworks Sentry 7 is one option that Wing Tactical is proud to present to the firearms community. The SLR Steel Sentry 7 Adjustable Gas Block is manufactured from a patented design that promises to outperform the competition’s components for the life of your gas system. The SLR Sentry 7 adjustable gas block uses a unique proprietary spring and a Precision Metering Screw to control gas throughput with 15 incremental adjustments from full closure to .125” fully open. The unique design and 1400-degree temper of the Flat Spring paired with the precisely designed and manufactured Metering Screw along with the unique machining of the metering bore allow the SLR Sentry gas block to adjust and readjust precisely, even after continued use. The detent plunger, metering screw and the gas block body itself are all coated with a high-lubricity Melonite finish. Melonite resists accumulation of fouling, corrosion, and will wear better than Mil-Spec coatings. 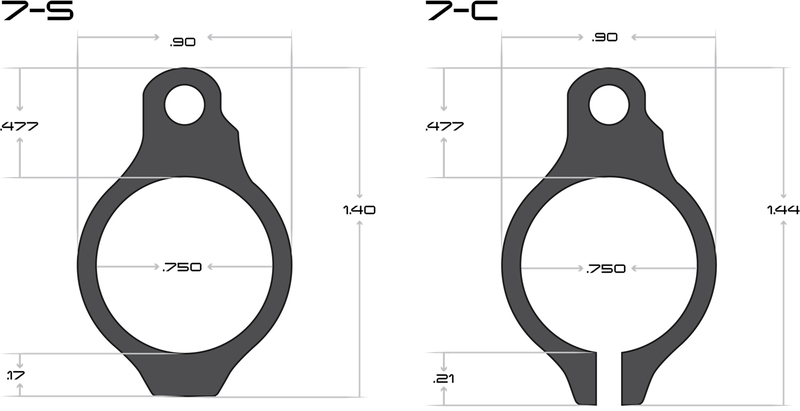 The SLR Adjustable Gas Block is available in two styles, so there’s one for every build. If your barrel is smooth and you don’t care to dimple it for set screw mounting, choose the clamp-on version of the SLR Gas Block for your build. If the barrel of your dreams is already dimpled, choose a set screw model of SLR’s Sentry adjustable gas block. If you’re brave enough to add dimpling for set screws yourself, Wing Tactical also offers SLR’s Gas Block Dimple Jig to help you do the job quickly and correctly. Had an over-gassed 308 when suppressed...this solved my problem. Easy to use, you can feel the clicks as you adjust.